One of our Architectural projects, which took a great deal of blood, sweat and tears to get planning permission for, is now rapidly taking shape on site. 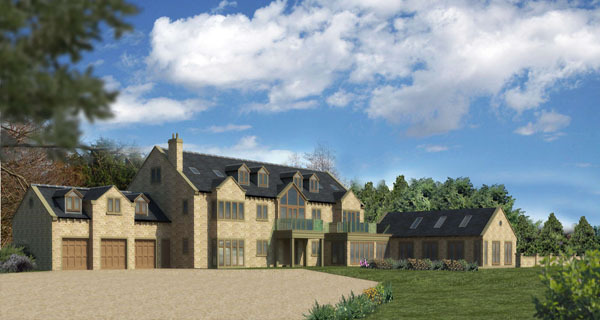 The very large detached house, which covers a footprint area of over 7000 square feet, is located in Idle, near Bradford, and is being built as part of a planning permission which also includes 9 other dwellings. 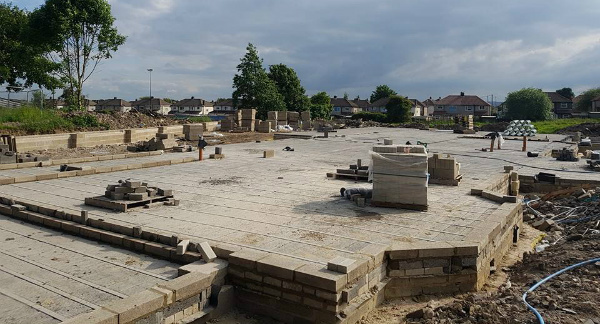 The project is being overseen by Kevin Wood Developments, with the timber frame being provided and erected by SMS Timber Frame of Huddersfield, and the swimming pool being provided by Lennox Leisure of Guiseley, Leeds. The footprint of the new dwelling, with the beam-and-block concrete floor being installed. The timber frame is due to be erected imminently, and we will be posting regular blog updates as the project progresses. Timber Frame houses look very elegant and it also has become a new trend as many as people are willing to design houses and building with timber frame. It has many features as it is simple and durable.